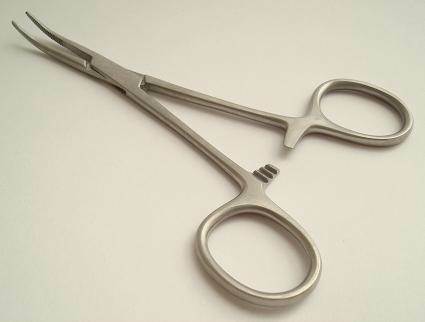 Curved forceps, with lock - 5"
For plucking hair from ears, etc. Curved, serrated jaws for improved grip. Straight forceps, without lock - 5"